Montlake Greenways leader Lionel Job explains potential safety improvements for seniors, kids, and people accessing the Boyer Clinic. Tonight, in a packed room, neighbors Capitol Hill, Montlake, the Central District, and Madison Valley heard about what greenways are from SDOT. Top concerns voiced by community members were the potential impact of the 23rd Ave arterial repaving project putting additional cars onto neighborhood streets, being able to safely cross arterials, speeding and volume of school drop off car traffic, and the need for safe routes for families to walk and bike to where they need to go. There was no consensus about where greenway safety improvements would be best suited. Negative emotions ran high about the 23rd Ave E arterial repaving project and spilled over into other conversations. Central Seattle Greenways hopes SDOT and safe streets advocates are able to refocus the conversation on the neighborhoods’ shared concerns of reducing cut through traffic on neighborhood streets, slowing speeding drop off traffic, and providing safe ways for our aging population to walk to parks and kids to safely bike to school. There is common ground to have a quality conversation moving forward. In addition, we hope that the conversation about the 23rd Ave E arterial project and greenway safety improvements can be separated. Thank you to everyone who came out in support tonight! We will need your passion, ideas, and hard work moving forward to help create safer streets in our communities. 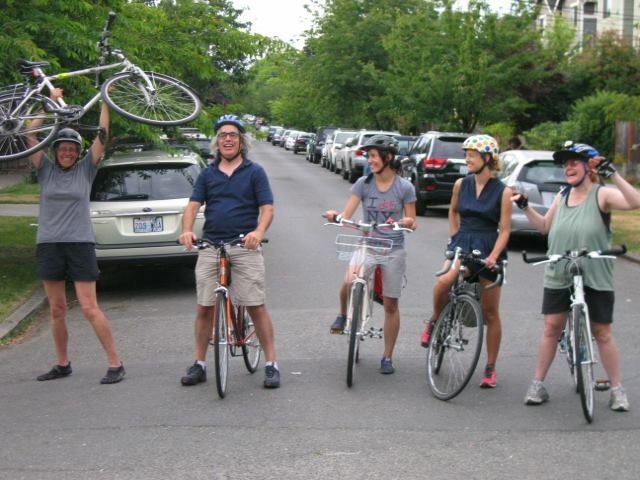 If you would like to sign our letter thanking SDOT for investing in safer streets in our communities and to receive updates from your local greenway group please click here. If you have not already heard, SDOT is planning to create a 23rd avenue corridor greenway as part of the $46 million 23rd Ave E complete streets project. Sign our letter and join us in thanking the City for the planned walking improvement and asking for a broader scope of study for the 23rd Ave Corridor Greenway project. This has not been a priority for Central Seattle Greenways (stay tuned for exciting news about the “ridge route!”), but it came about because planners were unable to accommodate safe walking, biking, transit, freight, and car traffic on 23rd Ave E itself as part of the street redesign. First, Central Seattle Greenways applauds SDOT for putting first the needs of people safely and comfortably walking along and across 23rd Ave E. Currently 23rd Ave E divides our community and makes it hard to walk to where neighbors want to go such as bus stops, shops, parks, school and more. SDOT is planning to improve sidewalks and crossings on 23rd, which is most welcome. We hope this project will continue to place an emphasis on the mode of transportation that everybody uses, walking. Whether a greenway on 24th/25th might better serve the Central District. Whether a 27th-Lake Washington Loop greenway might serve as a through route for people who do not need to access Capitol Hill and are instead trying to get between the UW/Montlake and the Central District. 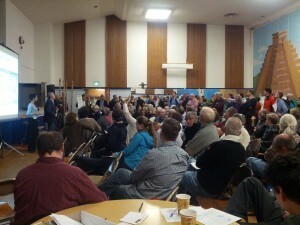 It has the added benefit of also serving Madison Valley. Whether a protected bike lane on 24th Ave E could serve as a better alternative for climbing the hill between Montlake and NE Capitol Hill. How SDOT can work with the Department of Parks and Recreation and Seattle Public Schools to provide better access to these important community destinations. 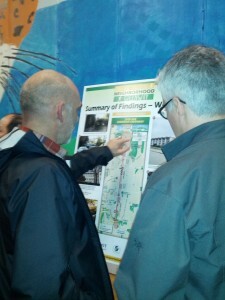 How whatever route(s) is/are chosen can connect through the SR-520 interchange project area in Montlake to the UW and Burke Gilman Trail. This corridor cannot simply dead end in Montlake. This is a critical junction for the City, which we have written about extensively. This is a complicated and very large project. Let’s make sure we get the most bang for our buck. Join us in thanking the City for the planned walking improvement and asking for a broader scope of study for the 23rd Ave Corridor Greenway project. Thank you for all that you do. We hope to see you at the open house on November 6th from 5:30-7:30 at the Nova High School (300 20th ave E). Map and letter not displaying? Try refreshing your browser. Figure 1. Map of different opportunities that should be investigated as part of the 23rd Ave Corridor Greenway project.